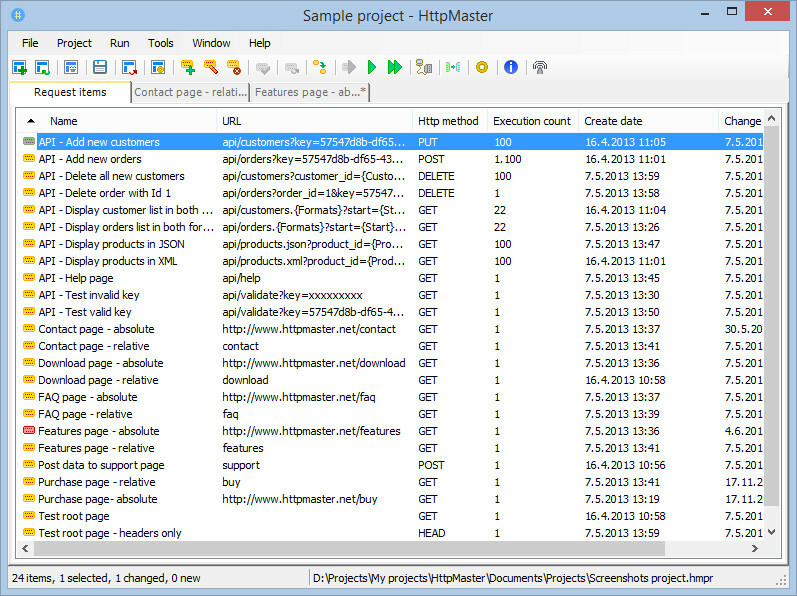 HttpMaster is a development tool to automate testing of web sites and services, including RESTful web services and API applications, and monitor their responses. With HttpMaster you can easily execute and monitor requests to simulate client activity; it can execute requests against various web servers and display complete request and response data. HttpMaster is also able to generate high volume of web traffic for improved testing.